Topic: Dr. Jo Anne White joins to discuss her books, “More Heaven” and “Bully Free” and how this can affect your family dynamic. Jo Anne White, Ph.D is an International Award-Winning, Bestselling Author and Speaker, Certified Professional Coach and Energy Master who has helped millions of individuals and organizations shape their dreams, master their own success and triumph. 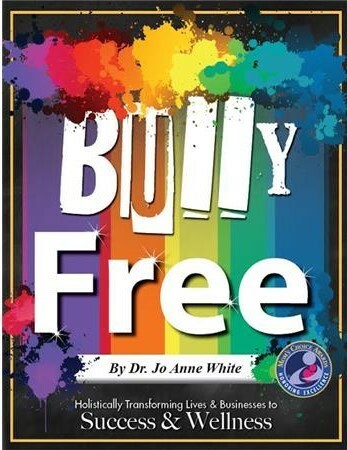 Known globally as the “Success Doc,” Dr. White is the Executive Producer and Host of the popular Power Your Life TV and Radio Shows and CEO/President of Dr. Jo Anne White Consulting Services, LLC. She’s been featured online and in national and international media outlets, such as CNN.com, Good Housekeeping, More, and WebMD. Jo Anne’s made frequent guest appearances on Radio and Television Networks such as NBC, CBS, FOX, and Voice America. Dr. White is also the founder of the recently launched Power Your Life Network and Power U Online University: both aimed at helping individuals, families, businesses and professionals grow, soar and succeed. Named a 2015 Worldwide Branding Top Female Executive for Professional Coaching by Worldwide Who’s Who, she was featured in Women of Distinction Magazine, 2016. 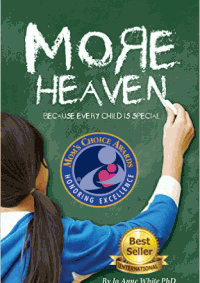 Both “More Heaven” and “Bully Free” received a Mom’s Choice Award for Excellence and have been named among the best in family-friendly media, products and services. Jo Anne has also authored and co-authored many books for women, men and businesses as resources for personal, professional and spiritual growth, leadership, success and empowerment. They include Amazon International Bestseller “Keys to Conscious Business Growth” , “Mastering the Art of Success”, “JOY”, “The Self Architect,” and more.